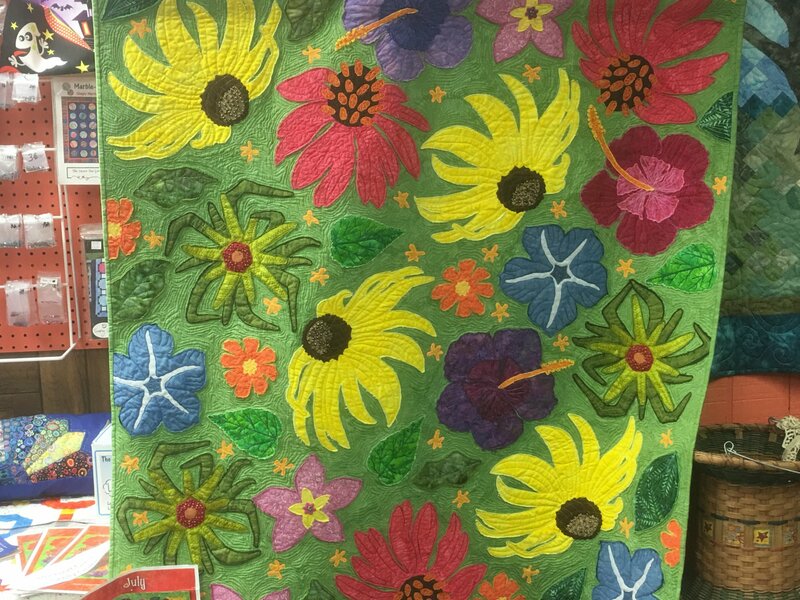 Create this wall quilt using a collection of floral appliques and Shelly's techniques. Using the Pattern "July" by Carol Morrissey, you can create your own style flowers for your hanging. Learn Applique, free motion quilting, thread painting and beading. This is your garden so make it personal!